Think of a psychic consultation as a life coaching session where you ask the psychic questions to obtain valuable information and insights from a higher source. Psychics connect you with sources of Divine guidance to help you discover the most significant issues along your life's path. Having a list of questions to ask the psychic helps to keep your consultation constructive and directed towards personal growth. Start with general questions and get more specific as the reading goes along. Likewise, don't be afraid to ask follow-up questions. Asking general questions like those that follow allow important information to come through and don't limit the information the psychic receives. What Are the Most Important Things I Need to Know? This is always a great starting question because it allows the psychic to communicate the most important information from the universe or from spirit guides, your Divine self or higher realms. It may also help you focus further questions as your reading proceeds. Where Can I Best Focus My Energies Right Now? This is another great, general question because it can tell you whether you are focusing your energy in the right direction, or if you may need to shift how you are thinking and spending your time and energy. What Upcoming Choices Will I Need to Make That Serve My Highest and Greatest Good? Alternatively, you can ask, "What actions can I take that will serve my highest and greatest good?" This is a good general purpose question that can provide valuable information about choosing your appropriate path moving forward. Many people struggle to find their true purpose in life, and a psychic can help by connecting you with Divine guidance about this important topic. 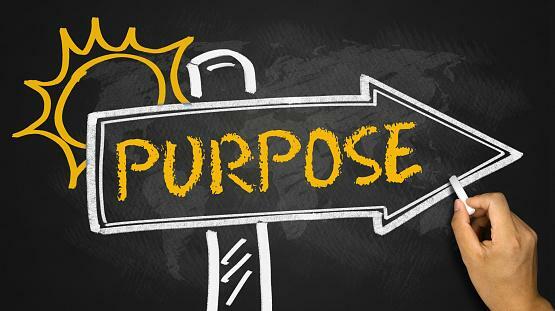 While many people believe life's purpose is about career, this isn't always the case. Life's purpose may be rooted in spirituality, family, public service, or a multitude of other areas, as well. Zeroing in on your life's purpose (which can change as you grow) can help you live a more productive and joyful life. You can ask a psychic multiple questions about purpose. What Is My Life's Main Purpose Right Now? This question can help you focus on following the path that is perfect for you in this moment, with the understanding that the answer to this question may be different every time you ask it. As you evolve, so does your life's purpose. What Actions Can I Take That Will Best Serve My Current Purpose? This open-ended question can help you glean information about the best ways to direct your time and energy right now to serve your current purpose in life. Relationship questions don't just have to be about romantic partnerships (although this is often the most common question a psychic receives), but they can also be about friendships, families, relationships with co-workers, and even your relationship with yourself. What do I Need to Know to Find a Romantic Partner? Variations of this question are frequently asked, such as "Will I fall in love?" or "Who will I marry?" Asking a question about romantic prospects in an open-ended way, however, will yield the most constructive and complete information. In What Ways Can I Strengthen my Romantic Partnership? Word this in any way you wish, but this question is about an action you can take to build a stronger love relationship with your significant other. A psychic can offer you insights into where your relationship may need a little work as well as offering actions you can take to do this. What Do I Need to Know About My Friendships? This is another excellent open-ended question that will direct the psychic to consider your friendships, but it is general enough that you aren't leading the psychic or excluding important information that may come through. How Can I Have Better/More Productive Relationships? This applies to every relationship in your life, from a romantic partnership to relationships with friends, families, acquaintances, or co-workers. It also focuses on specific actions you need to take since the only person in any relationship over whom you have any control is yourself. What Can I Do to Improve my Relationship With Myself? Your relationship with you is the single most important one you will have in this lifetime. Asking this question can garner specific advice about growing in your own self-worth and self-love and caring deeply for yourself. Every relationship you have improves as you build a better relationship with yourself. 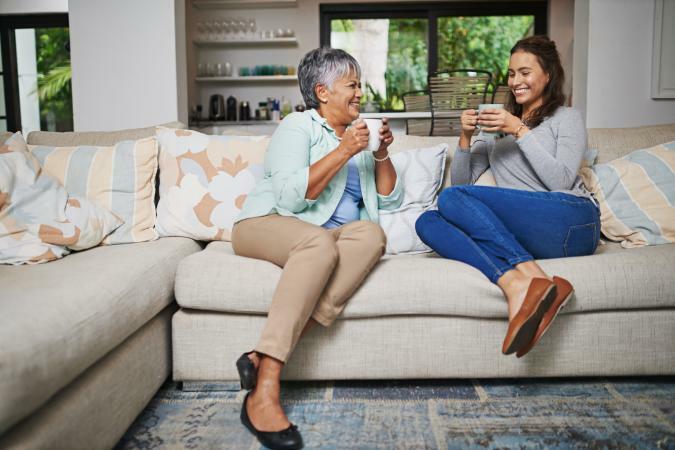 Asking specific questions about family can help you understand and improve family dynamics, and it may help you prepare for upcoming challenges. What Challenges Do You See my Family Facing Currently and in the Near Future? This question can help you understand the unique challenges in your family dynamic and may also help you prepare for any upcoming challenges so you can have a plan in place to meet them with grace. How Can my Family Experience More Harmony? 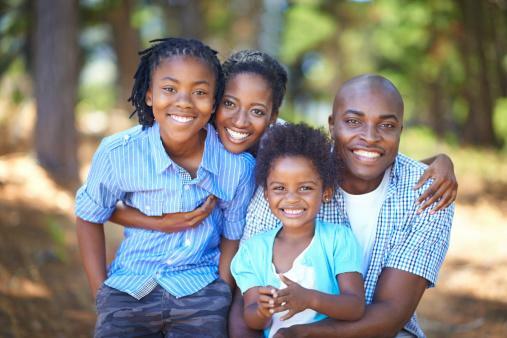 This question can yield specific advice about improving family dynamics and making your home life more harmonious and joyful. Questions about spiritual development and growth can help you find more joy, peace, and balance in your life. What Am I Holding on to That I Need to Let Go? Everyone has beliefs, thoughts, and behaviors they cling to that may be keeping them from progressing personally and spiritually. This question can help you identify those. What Am I Creating Without Realizing It? Humans are creative individuals who bring various circumstances and experiences into their life through their beliefs, filters, thoughts, words, and acts. This question is designed to help you discover unintended creations with an eye toward making different choices to help eliminate aspects of your life that don't serve your highest and greatest good. What Energies Am I Blocking in my Life and How Can I Remove the Blockages? Just as thoughts, words, beliefs, and behaviors can create unwanted outcomes, so can they block desired outcomes. This question can help you identify ways you may be blocking yourself from full joyful expression. What Changes Can I Make to Have a More Joyful Life? This can help you identify behaviors you may not be aware of that are preventing you from living joyfully. 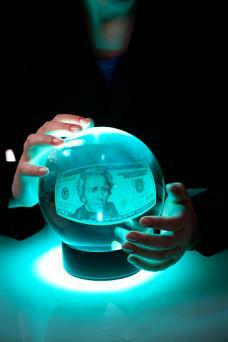 After relationships, career and money questions are among the most frequent a psychic receives from clients. Use these questions to receive constructive information to learn what will help you progress in your job and build prosperity. How Can I Cultivate More Prosperity in My Life? This is an open-ended question that gives you constructive feedback about the specific thoughts or actions to bring more money into your life or to provide you information about ways you may be blocking your own prosperity. How Can I Make my Career/Job More Meaningful? Since you spend so much of your time working, finding ways to make it more meaningful can change your entire experience of your job for the better. What Action Can I Take to Ensure I'm on the Right Career Path/Advance my Career Path? Many people aren't certain they are even working in the right job for them, or they feel they are stuck in a dead-end job that doesn't suit them. Asking this question can provide insights about how you can make your career experience more meaningful and successful. While some medical intuitives can provide specific information about your health, most psychics may be able to provide direction but are hesitant to offer a specific health diagnosis. These questions can help you focus on important issues while leaving diagnosing to your team of medical professionals. What Do I Need to Know About my Health? This is an open-ended question that allows you to discover what Divine guidance wants you to know about the health of your body, mind, and spirit. What Steps Can I Take to Improve my Health? The answers to this question can help you find a direction for experiencing better health through specific actions you can take. What Am I Unknowingly Doing That Is Harming My Health? Without asking for a specific diagnosis, this question can help you identify things you are doing that may not be beneficial to your overall health. Not all psychics are mediums, but all mediums are psychic, and many provide both general psychic and mediumship readings. If you are consulting with a psychic medium, you may have specific questions about loved ones who have passed. Ask the psychic before you schedule your appointment if they do mediumship readings. If they do, you may wish to have a few questions ready. What Do my Loved Ones Who Have Passed Want Me to Know? This question allows open communication for any loved ones who have passed who may have information they'd like to share. It is open-ended and allows for anyone who is dead to come through and share the information they feel is most important and pertinent to you. How Can I Best Communicate With My Loved Ones Who Have Passed in My Daily Life? People who have died may be trying to communicate with you in your daily life, but you are unaware of it. The answer to this question may provide you with information about how they are communicating so you can be aware of it and look for that communication as a source of support and comfort. When working with a psychic, consider the following tips for crafting your own questions. Keep your questions open-ended so you allow any information that is important to come through instead of limiting it to a yes or no (or another single-word) answer. Start with general questions and get more specific. Don't be afraid to ask follow-up questions or ask for clarification. In general, the questions that yield the best results are "tell me what I need to know about..." type of questions. Phrasing questions this way allows for the most important and helpful information to come through and facilitates guidance. Think about your session as a form of guidance; you are consulting with higher realms and the psychic is acting as a conduit for the information. There are times when the psychic may answer, "I don't know." While this can be frustrating, allow that answer and follow up with a question such as, "In what ways can I be open to receiving the answer on my own?" Then, be open to and aware of signs that may come up that answer your question. However, realize sometimes the answer is "I don't know" because it isn't information you need or that will be helpful at this time. Asking, "When am I going to die (or when is someone else going to die)?" Asking questions designed to "trap" the psychic, such as "What's my middle name?" or "What is the name of my grandmother's second husband?" While it would be great if psychic information worked this way, it usually doesn't, and it may create blocks that stop information from coming through. Asking, "What's the name of my future husband/wife/spouse/partner?" Asking, "How am I going to die?" Asking any "will I" question, such as, "Will I get cancer?" or "Will I get married?" Asking any "should I" question, such as "Should I quit my job?" or "Should I take this medication?" You are paying for your consultation with a psychic and chances are, you'd like your session to be as helpful and productive as possible. By preparing open-ended questions designed to elicit information that serves your highest good, keeping an open mind, allowing communication, and receiving it with an open heart, you can make your psychic consultation a special session of sharing with a source of higher guidance.